Leaving Certificate Chemistry (Gas Laws And The Mole) Note on Gas Laws and the Mole, created by eimearkelly3 on 08/14/2013. 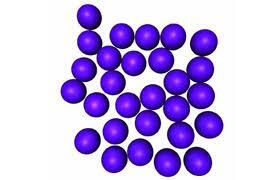 - Particles in solids, liquids, and gasesSOLIDS closely packed particles, tightly bound to eachother --&gt; fixed volume, fixed shape. constantly vibrate ;this is the only movement that they are capable of, because they are tightly bound. 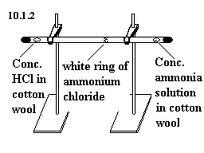 vibrate, on heating, more and more until, at the melting point, they break free from each other and a liquid is formed. 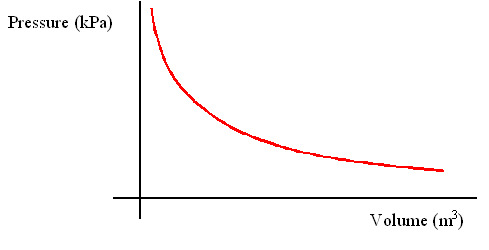 When a solid melts, there is usually an increase in volume of between 5% and 30%. 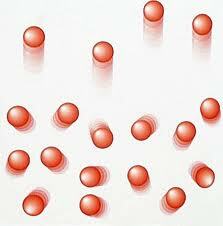 This is because, the particles in a liquid are usually more loosely arranged than a solid. LIQUIDS Particles are close together can slip by one another easily - as a result, liquids can flow and do not have a fixed shape. 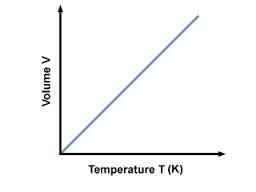 The volume of a liquid a a particular temperature is fixed, because of the forces that hold its particles together. On heating, the particles move with greater pace and, at the boiling point, they escape completely from the other particles, and a gas is formed. GASES Particles are relatively free of each other, and so a gas has no fixed shape or volume at a particular temperature. Move very rapidly and in a random manner, colliding with each other and with the walls of their container. Because gas particles are seperated by relatively large distances, gases are easily compressed, unlike solids and liquids. Gas Laws - Boyle's Law and Charles' LawBOYLE'S LAWHe found that at a constant temperatureP x V = constantwhere P = Pressure of the airand V = volume of the airAt a constant temperature, the volume of a given mass of any gas is inversely proportional to the pressure of the gas. GAY LUSSACS LAWMeasured the combining volumes of gases in a number of chemical reactions.He found, for example, that two volumes of hydrogen combine with one volume of oxygen to give water.When gases react, the volumes consumed in the reaction bear a simple whole number ratio to each other, and to the volumes of any gaseous products of the reaction, all volumes being measured under the same conditions of temperature and pressure. It is not possible to measure out single molecules but it is possible to measure out equal volumes of a substance. 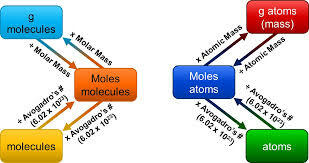 According to Avogadro's law, equal volumes of gases contain the same number of molecules under the same conditions of temperature and pressure.The mole is a unit of quantity that is easily measurable. 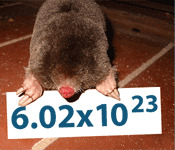 The mole is the SI unit of amount of substance. The RELATIVE MOLECULAR MASS of a substance is the average mass of a molecule of the substance relative to one-twelfth the mass of an atom of C12The MOLAR MASS of a substance is the mass in grams of one mole of the substance. Where P¹, V¹, and T¹ are the initial pressure, volume, and Kelvin temperature respectively, and P2, V2, and T2 are the final pressure, volume and kelvin temperature respectively. Real gases behave most like an ideal gas at high temperatures and low pressures. Under these conditions, the particles of a real gas are relatively far away from each other and the assumptions of the kinetic theory are reasonably valid. However, the assumption that collisions between molecules are perfectly elastic is never true for a real gas.